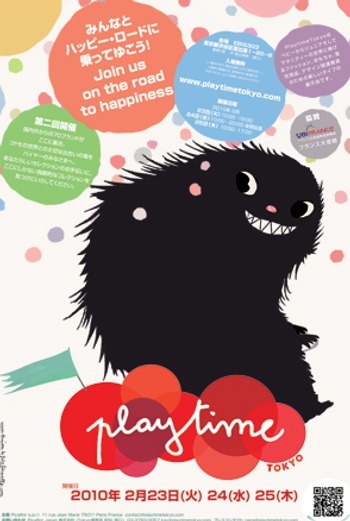 Playtime Tokyo trade fair to start today! We can hardly wait to see what treasures turn up at Playtime Tokyo, due to open today 23rd of February and finishing on the 25th. Japan is renowned for being a mecca for all things beautifully-designed and executed, with kawaii (Japanese for cute) aesthetics being the first priority. Following our recent editorial on the highly successful Playtime Paris, we’ll update you with the latest finds at the Tokyo show. The photo below is from last year’s Tokyo show, which was the first Playtime ever held in that part of the world. Expect over eighty Japanese and international brands to be showcased at this year’s event. Of course the Playtime Tokyo website is as kawaii as we expect the products to be! Enjoy.